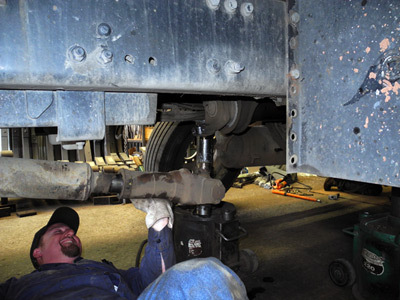 Clutch and Driveline Repairs - Rocky Mountain Spring and Suspension, Inc.
At Rocky Mountain Spring & Suspension in Colorado Springs, we offer full clutch and driveline repair, service and replacement. Your vehicle’s clutch is the device that engages the power produced by your car’s engine. The clutch disconnects the engine from the gearbox when you change gears. It is also what allows the engine to idle. Needless to say, you need your clutch working properly to operate your vehicle safely. We are the best clutch repair shop in Colorado Springs. Clutch repair or replacement services can ensure your vehicle is running like new in no time at all! Do not put off this important repair. Remember, proper vehicle maintenance will prevent you from being stranded somewhere with an inoperable vehicle. Call us today!